Robot will follow a black line on white background with straight runs and turns to deliver a game object. 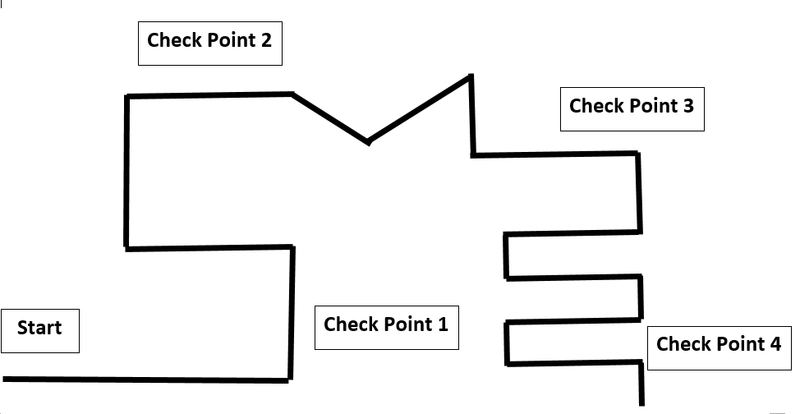 Each check point passed is a level of achievement. The size of the maze is 4 feet by 8 feet. Same size as a VEX-IQ table.